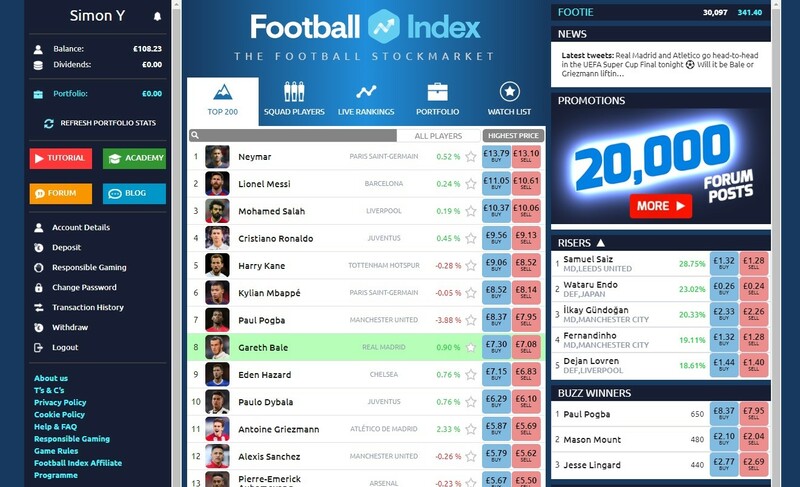 If you love football and fancy yourself as a bit of a sports trader, then this Football Index review might just be for you. It’s like trading on the stock market, but you can buy Liverpool’s Mo Salah instead of Shell. 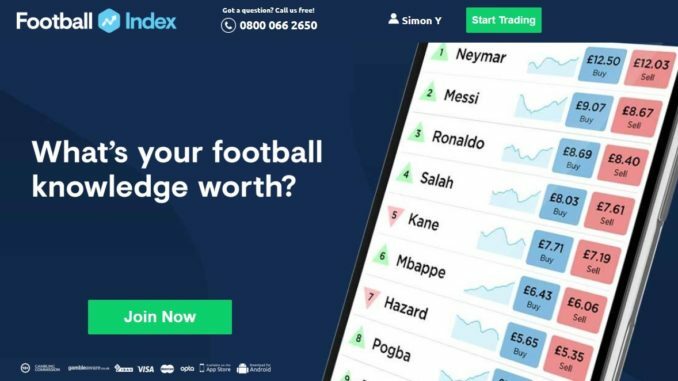 We reviewed Football Index a while ago, just after they successfully raised £800k through Seedrs (valuing the company at £5m). It’s now three years on, so we decided to take another look at how the “stockmarket for football concept was doing. The concept is disarmingly simple: build a portfolio by snapping up ‘futures’ (shares) in players whose value you think will rise, a price based on good, old-fashioned supply and demand. You can then sell your prized footballing stock at a profit if you think the market is topping out. Traditional football betting through sports spread betting bookies and betting exchanges seems almost redundant. There’s also the chance to earn dividends, just as you would if you held shares in a high-performing company. Except here, you need your player to top the Opta-based performance charts on a given match day or be a media darling and feature most in the football news. If they do, you get a dividend payout based on the number of ‘futures’ you hold in them. While this sounds all well and good, things are not always as simple as they seem and your player values might drop. 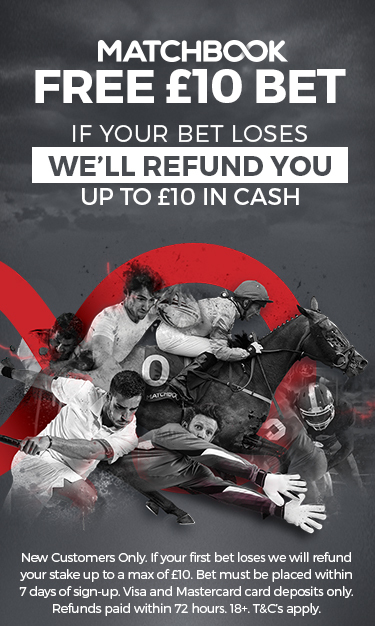 Like any form of financial trading (or, ahem, gambling) you can lose some of your hard-earned cash. However, unlike traditional win or lose sports betting, you can’t lose everything with your portfolio since it’s unrealistic to expect all player values to fall to zero! 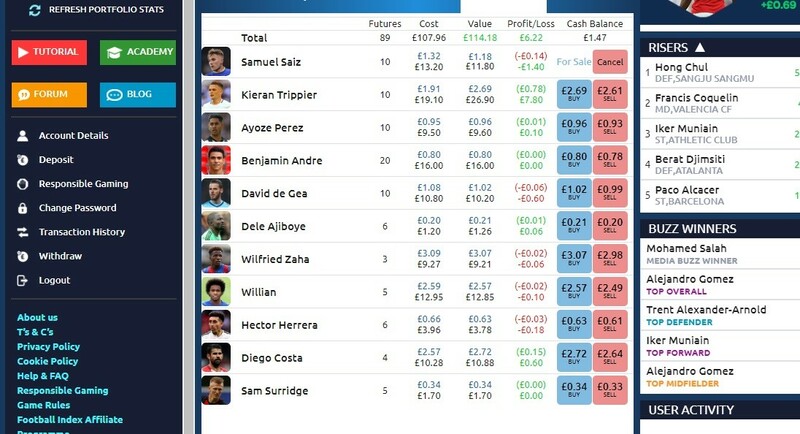 For our Football Index review setting up an account with Football Index, which was set up by entrepreneur Adam Cole in 2015, was super easy. If you’re familiar with how these things work, then you’ll know some personal details are required, along with a deposit method for your payment. I was up and running within minutes, and ready to dive in. Top 200 – the top players of the day by price, updated at midnight. Squad Players – here lurks all the other players on the Football Index books. They’re mostly top-flight players from Europe’s big leagues, although a few lower-league players appear. Live rankings – see which players are topping the media or matchday performance rankings. Portfolio – your sparkling list of high-performing stars, or no-hopers. You choose! Watch list – for those players you want to keep an eye on. Once I’d got a basic grasp of what I was meant to do, it was time to make my fortune as a football trader. I reasoned that I should treat this like any other portfolio of investments and spread my bets between sure-fire stars and some high-risk donkeys I’d never heard of. First, you’re meant to do some research. I know it’s tempting to go with your heart but instead it’s prudent to go with your head. You can click on any player from the lists (easy filtering and a search bar is available) to bring up some key stats. Here’s Paul Pogba. 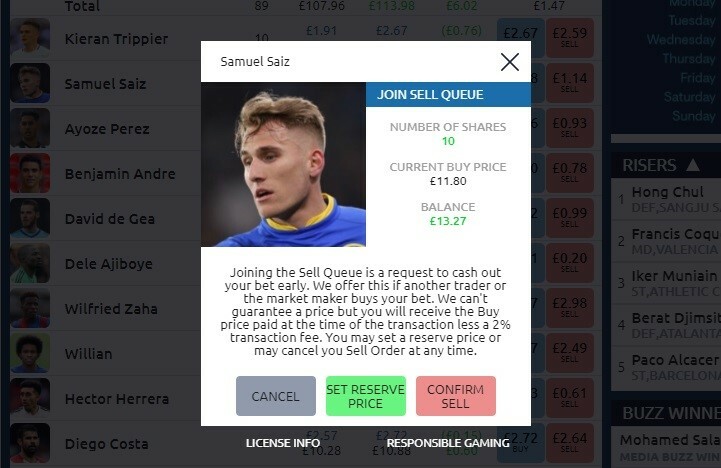 His buy and sell price are displayed (note the ‘spread’, which is how Football Index makes its profit and why short-term trading less profitable). Of use is the price graph. You can filter the time period, and in this case, I had it at the last seven days. 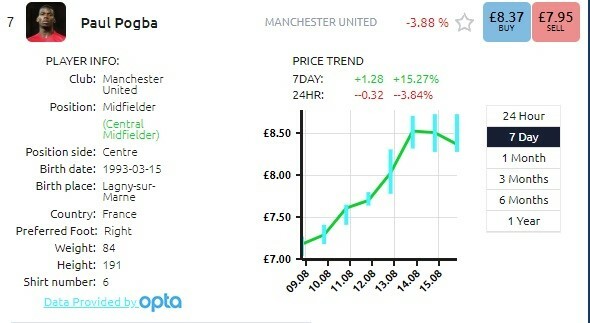 Pogba had gone up from around £7.25 up to £8.50 in just five days but had since tailed off a bit. In my rather befuddled mind that meant it was not a great time to invest in him. Hindsight is a wonderful thing, and a week later Pogba sat at £9.21 and had earnt his investors large dividends! However, let’s focus on my good buy. Spurs star Kieran Trippier enjoyed an excellent World Cup with England, yet his price was hovering around the £1.90 mark. He’d not played in the season opener at Newcastle, so surely, he’d come back with a bang and his price would rise? Here was his seven-day chart. 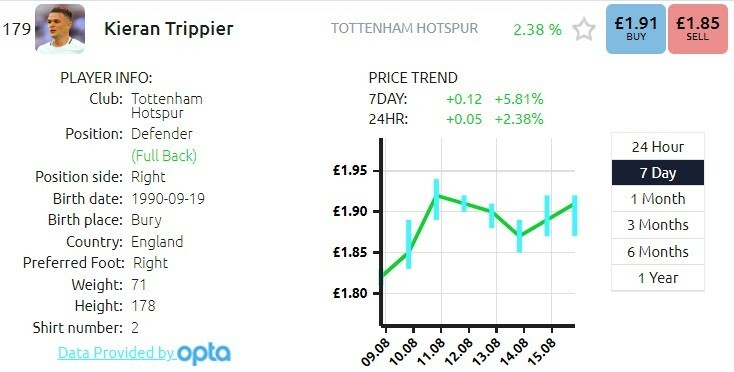 Convinced, I snapped up ten Kieran Trippier futures at £1.91. Lo and behold, one week later he played and scored a wonder free kick against Fulham and his price had shot up to £2.73, a profit of 82p a share, or £8.20. He even earned me £1.20 in dividends thanks to his Opta stats. Good man! 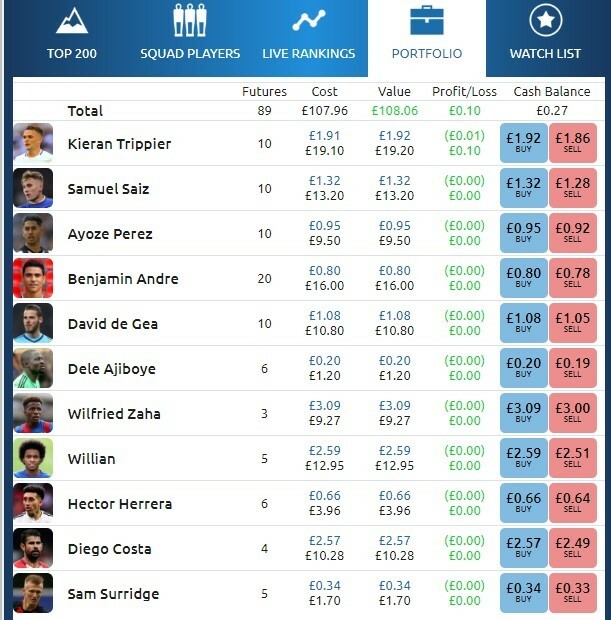 Spreading the risk, I plunged for buying futures in 11 players. Some would go up in value (like Trippier), but some would no doubt go down. At the end of my buying spree, my portfolio looked like this, and was valued at £108. Now, I’ll admit you’ll look down that list and recognise a few players: Zaha, Costa, Willian and de Gea for starters. My thinking behind each of those purchases was based on price and Opta stats potential. However, you’ll also see a few unknowns. If you’re expecting me at this point to give you a genius explanation for those, I’m going to disappoint you. I’d not even heard of most of them myself. They were, it has to be said, a punt. Take dear old Dele Ajiboye, who is apparently a goalkeeper somewhere in Nigeria. I only picked him because he was 20p and the cheapest player on the site. Still, just to be on the safe side, I only bought six ‘futures’ in him, totalling a meagre £1.20. A few other random players were purchased because I liked their photos or because of recent price movements. Step forward Benjamin Andre, who’ll you’ll obviously recognise (not) as a star midfield playmaker for Stade Rennais in France, and Sam Surridge. I’m still not entirely sure who he is. Anyway, I liked the blend of my portfolio, and after three days, there had been some price movement. I was £1.67 up, thanks to Trippier and Diego Costa, Newcastle’s Perez and others. However, it seems the market really shifts about during heavy match days, or weekends, when players have a blinder or a stinker. So here was my finishing portfolio, after one weekend of fixtures. 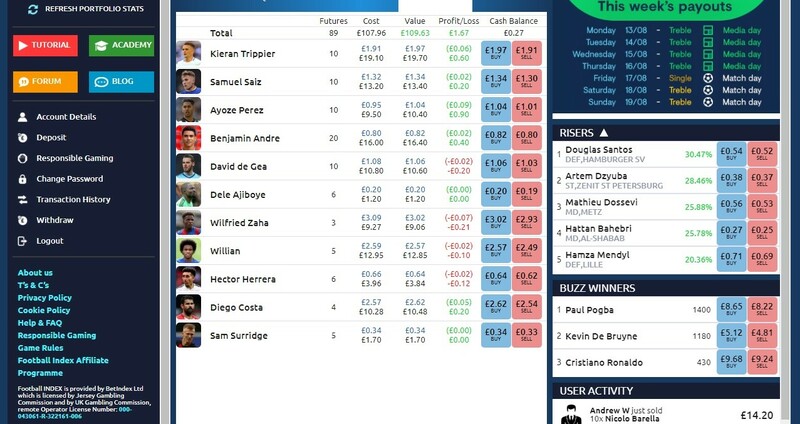 Despite some initially dodgy buys throughout this Football Index review, I’d found myself in profit by £6.22. Many of my picks had made a little money. Even dear old Dele Ajiboye had shot up 1p to 21p, making me 6p. What a hero! I’d buy that man a drink if I knew where he was. You’ll then get a box explaining your options including a reserve price if you fancy. Note the 2% commision for Football Index on sales only, not purchases. 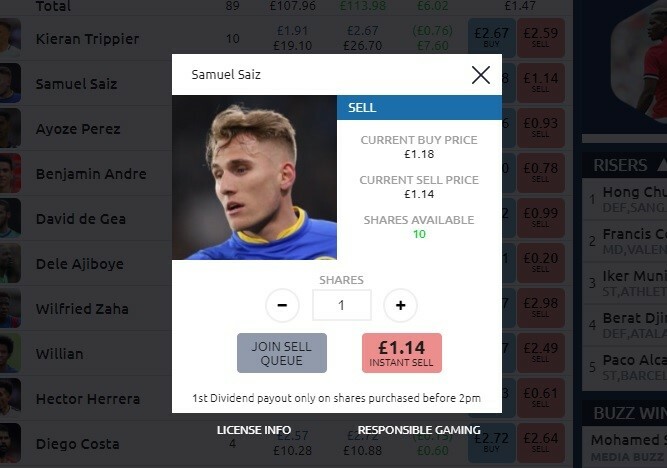 Despite diving in rather quickly and not thoroughly researching the players to buy (I’ll admit to some impulse buying), I made a healthy profit in a week – around 7%. That’s probably a better return than I would have achieved on the stock market. Once you’re over the initial research and set up you can generally sit back and only make occasional tweaks. It’s certainly less labour intensive than traditional fantasy league or the modern fantasy sports competitions staged by the likes of Draft Kings. Overall, it’s a fun way to get you involved more deeply in the football world and perhaps win some bragging rights with your friends. Compared to Super 6, it may or may not change your life, even if Dele Ajiboye signs for Real Madrid and become a world star.